I was in the “big city” on Wednesday and had occasion to go to one of our boutique grocery stores – Pete’s Frootique. Pete’s is the go-to place for all those imported luxury ingredients as well as all the standards. The owner, Pete Luckett, is originally from the UK so many of the products cater to ex-pats from that country. Locals also benefit from the selection as well. But it doesn’t stop there. Foodstuffs from all over the world find their way to his two HRM locations and one valley store. Fantastic charcuterie from all corners of the earth, myriad cheeses and a multitude of ethnic specialties are all available. Unusual items like eddoe, dragon fruit, taro root, fresh figs, bitter melon and the like are common as well. So are tomatillos. I had often seen them but never bothered to buy them before. We were thinking of growing some this year in our garden but for one reason or another we never got around to purchasing plants. 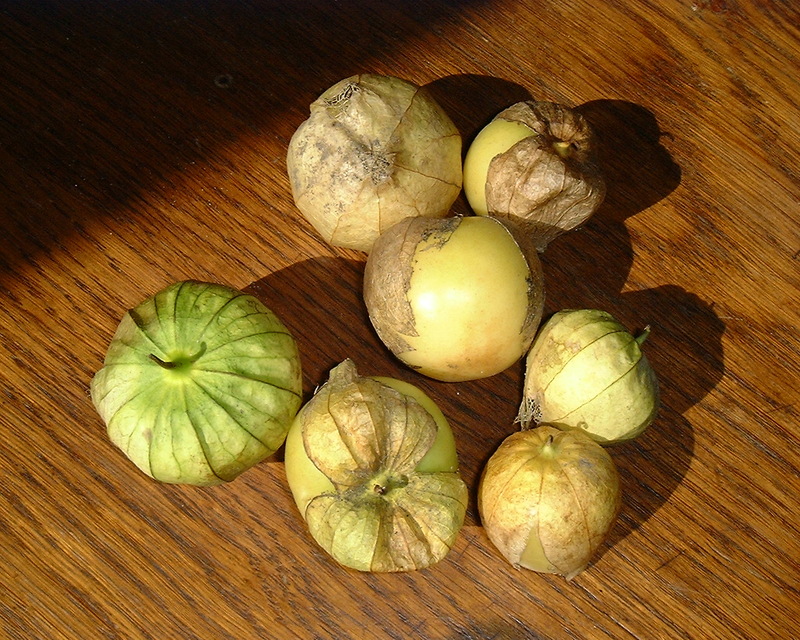 Tomatillo is a member of the nightshade family. They are kin to cape gooseberries as well as the poisonous Chinese Lantern. Ripe tomatillos resemble small green tomatoes, but wrapped in an inedible green paper husk – like the cape gooseberry. As they mature they can actually split the husk revealing the beautiful fruit inside. Tomatillos are the key ingredient in most Latin American “green” sauces because of their tart taste. 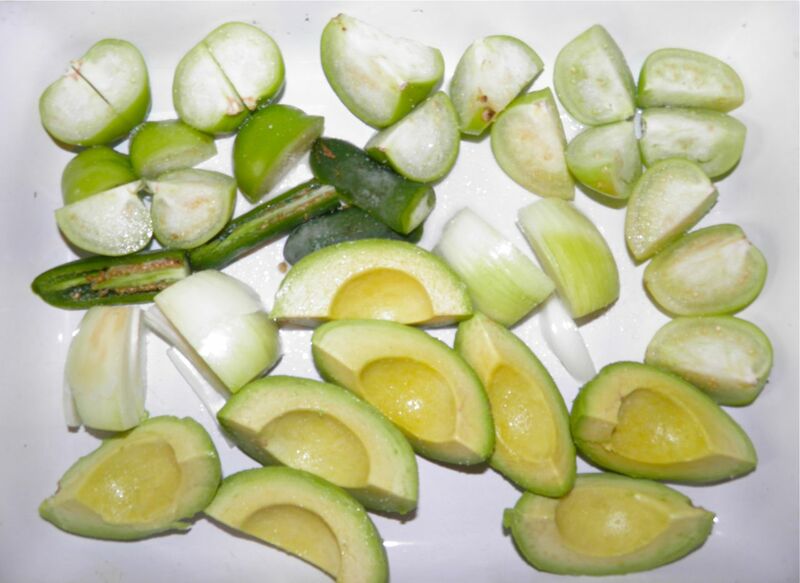 The freshness and greenness of the husk are indicators of quality and ripeness of the fruit. I wish I would have known that. It took me forever to pick through the pile to find 300g of decent fruit. They were definitely past their prime. After 1 hour at 400°F. But it’s not foolish to want to eat tomatillos, just a little silly when you have no idea what you're going to do with them. And doubly so when you marooned in the country with the nearest grocery 25 minutes away. What if I needed another "key" ingredient? 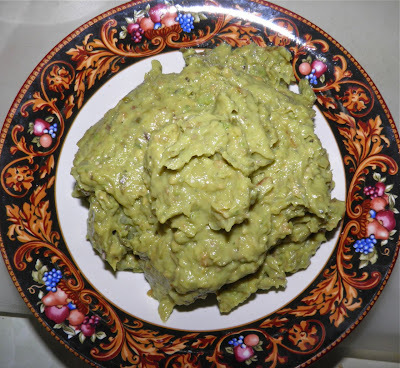 I quickly found several recipes for a “salsa” using roasted tomatillo and avocado (yes, roasted avocado). Many recipes called for serving it with chicken. I had chicken too. So that’s what I did, copycat that I am. Interestingly I do not find this very close to any "salsa" I have ever seen. So I renamed it more accurately, in my opinion. This was great on my roasted chicken thighs. I never would have thought of the combination. A little side of rice and voila! – a full dinner. The chicken can be baked at the same time a the veggies making it a time and energy efficient dinner as well. There were tomatillo guacamole leftovers. I’m sure I can find a cooperative nacho chip to help me deal with it. I hope you try this. 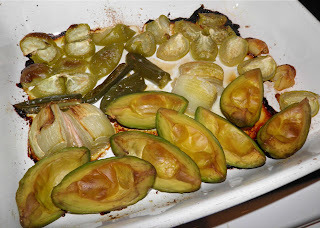 The smoky flavour of the roasted vegetables was quite different than any guacamole I have ever had before. Fantastic and oh so very, very easy. Try it this weekend! was roasted with garlic powder, cumin and oregano. 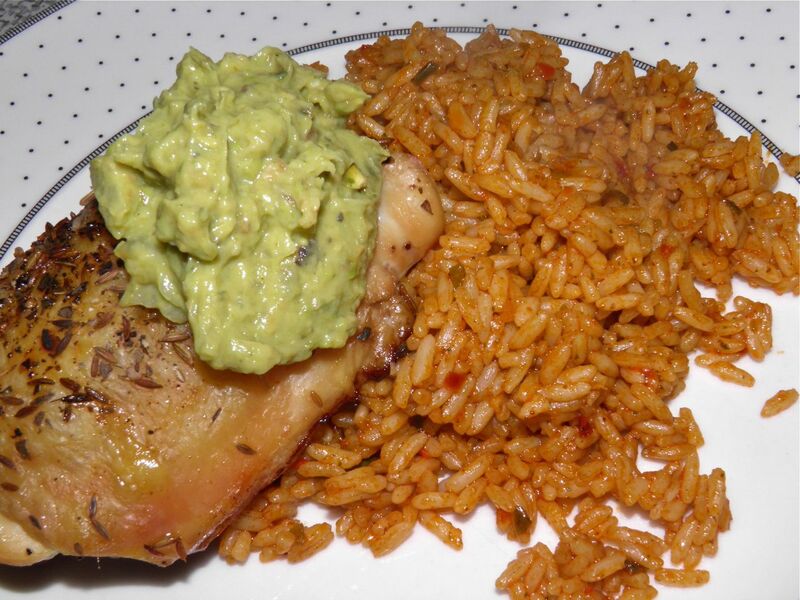 The rice is a style of "dirty" rice. Spread the oil in the bottom of an oven-proof pan. 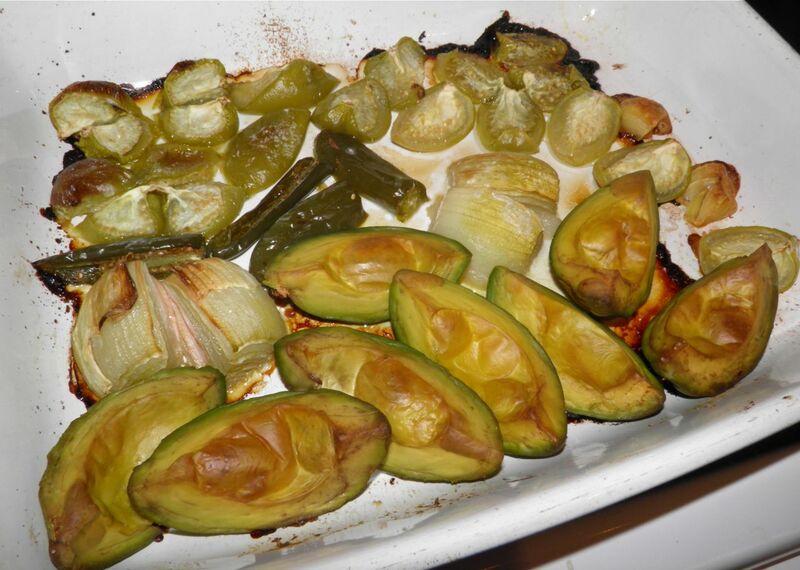 Add the tomatillo, avocado, jalapeno, onion and garlic. Sprinkle with salt. Roast for 1 hour. Remove to a food processor. Add the lime juice and spices. Pulse until blended but still chunky. Use immediately for warm dip, or refrigerate until ready to use. Avocado will discolour if kept too long. The lime juice helps, but don't make it more than 12 hours before use.